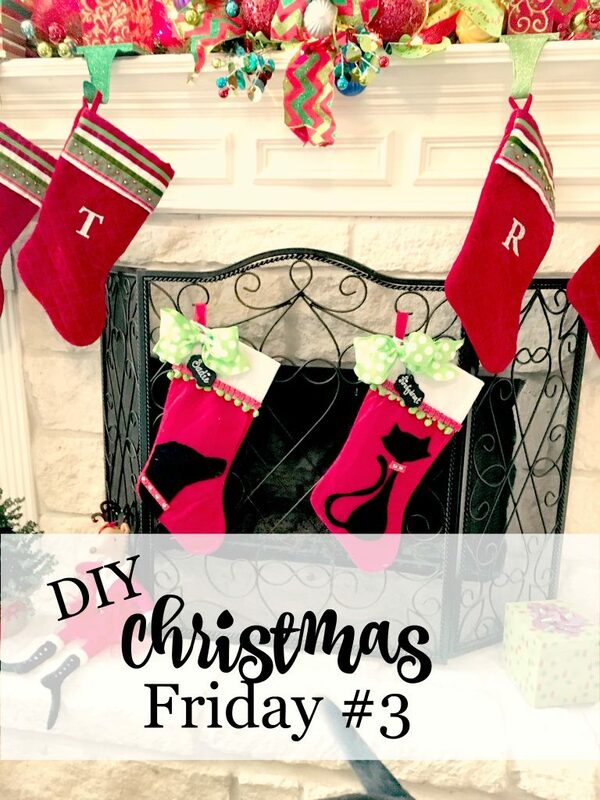 It’s DIY Christmas Friday #3! 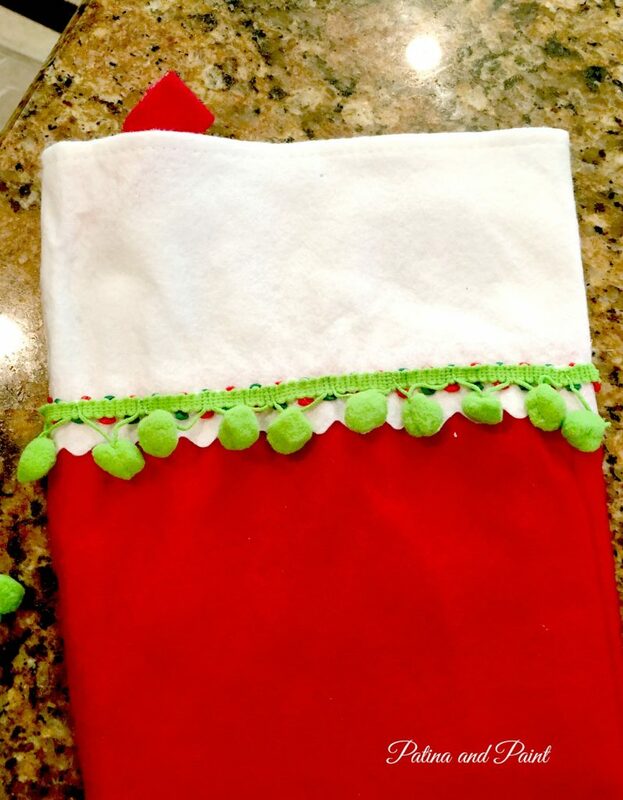 You know where every Friday before Christmas we share a craft that is so easy even a monkey can do it? I’ve been decorating for Christmas like a mad woman here at the castle. 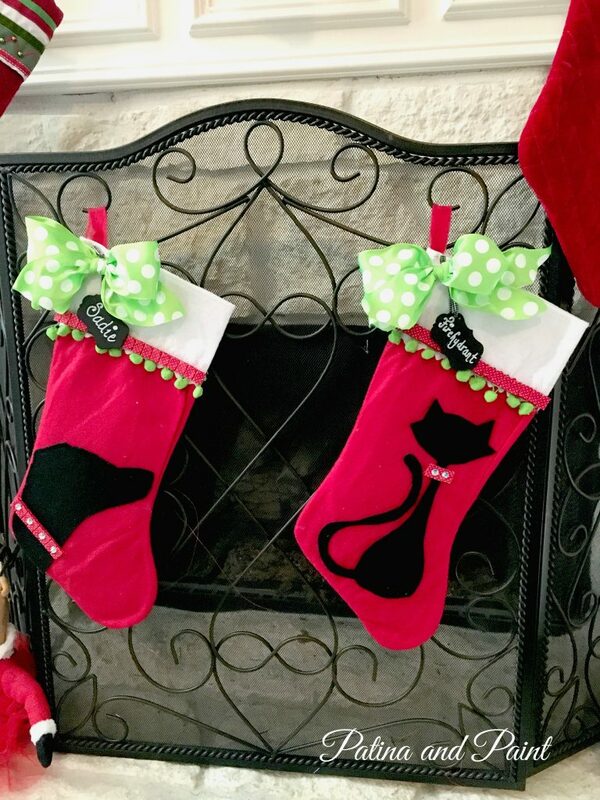 When it came to putting up the stockings it occurred to me that our stockings were in pretty fair shape, but the fur babies stockings were pathetic. I’m talking toes up peeps! 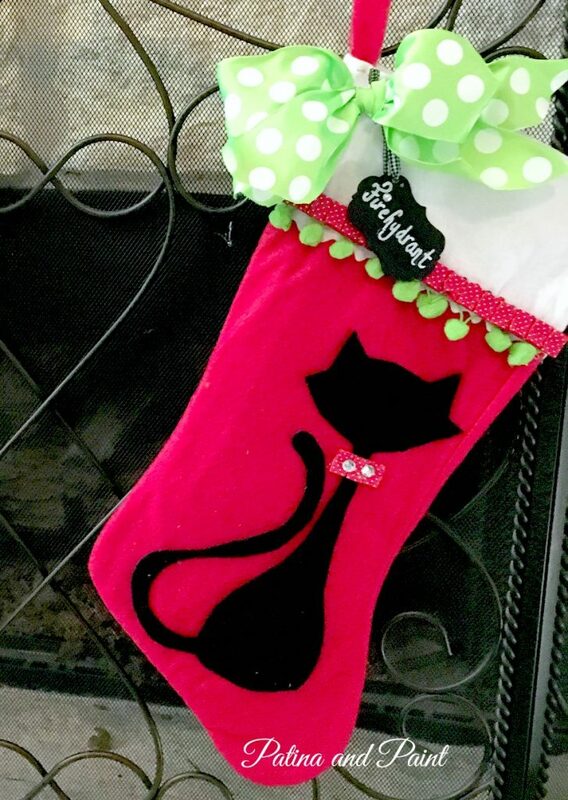 It was time for some new pet Christmas stockings! 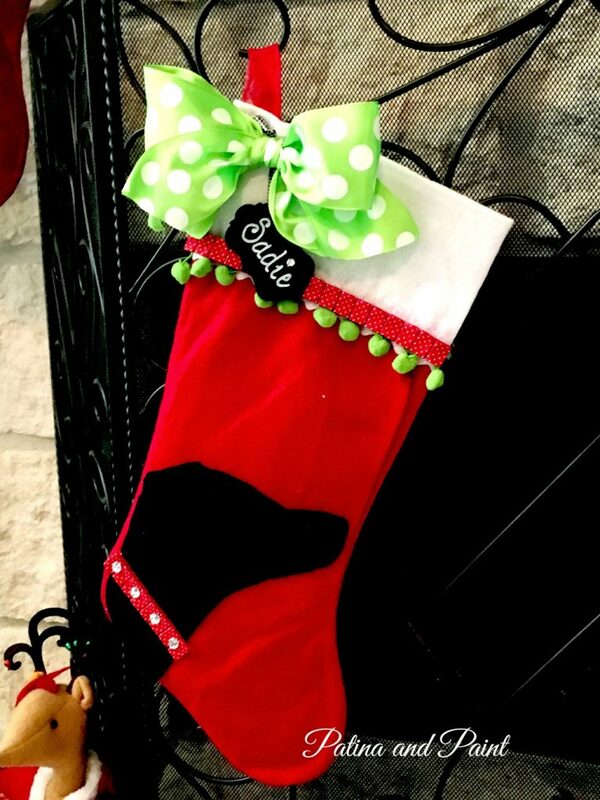 There are a ton of cute pet stockings out there, but if I ordered on-line I’d have to wait forever to get them. Anything I could find locally were really cheesy or didn’t fit in with my Christmas decor. 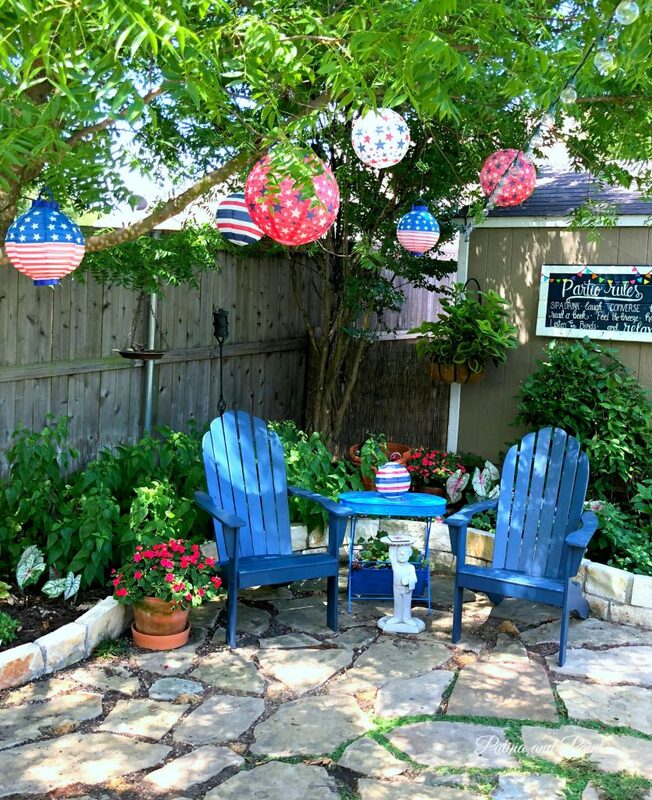 So I decided to make them and, since I am a sharing person, I am going to show you how easy they were to make. I started by sketching out the design I wanted to put on my stockings. 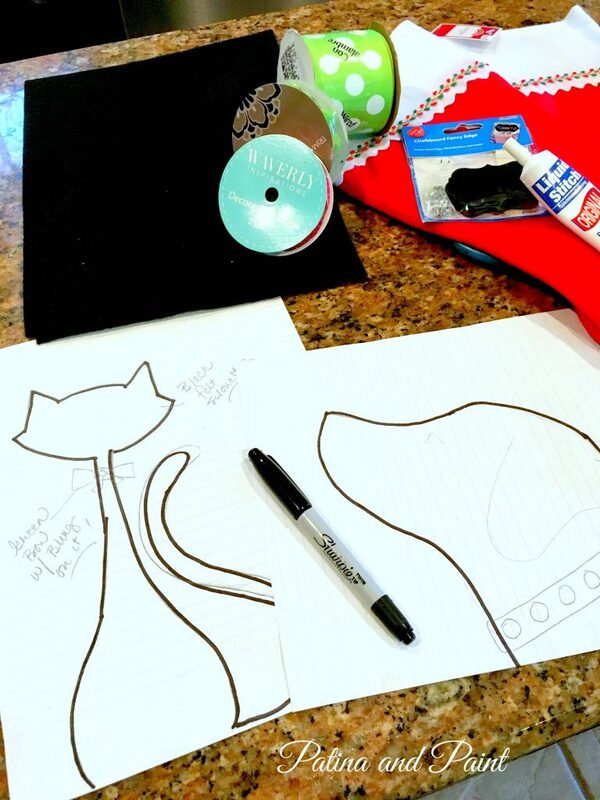 After cutting out my sketches to use as a pattern, I used my white pencil to trace the patterns onto the black felt. I cut out silhouettes of my sweet lab Sadie and my crazy, deranged cat Fire hydrant. After positioning them where I wanted them, I glued them on using a craft glue. 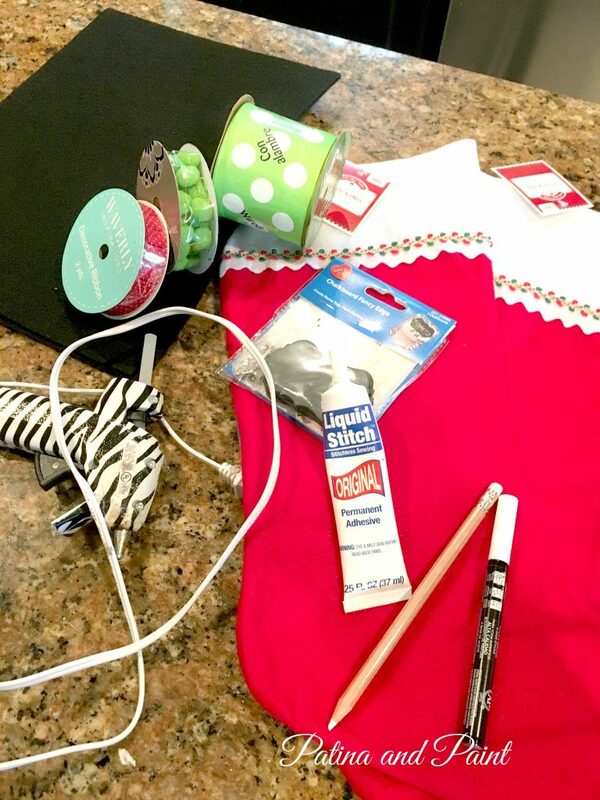 The pre-made stockings had some decorative trim on the cuff and it was okay… but I want awesomeness! 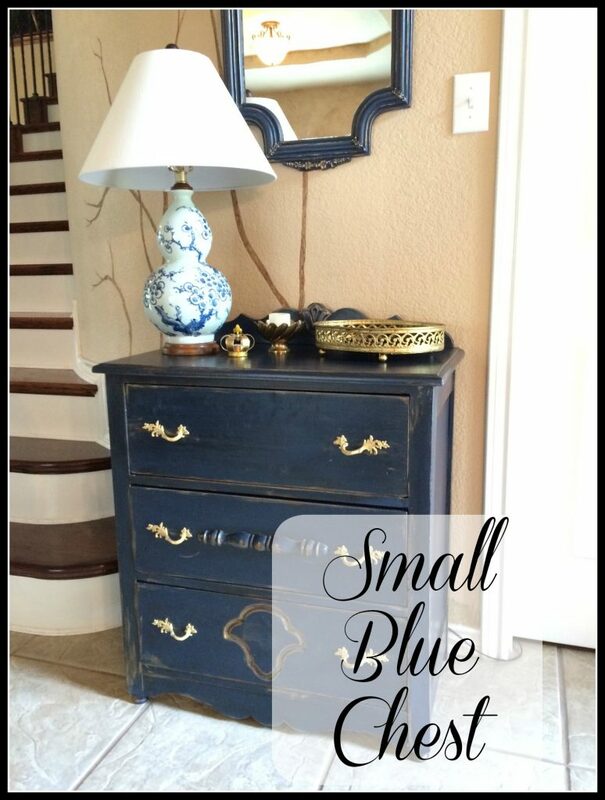 I am in love with pom trim. This lime green was perfect. I used the same craft glue to attach it over the existing trim. 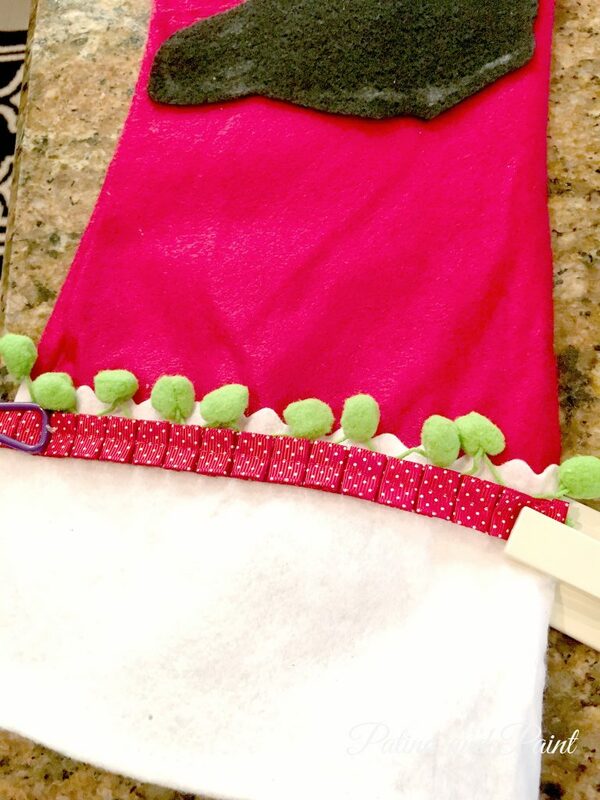 This sweet ruffled red ribbon was perfect to go on top of the green pom pom trim. I bought these small chalkboard signs for name tags. 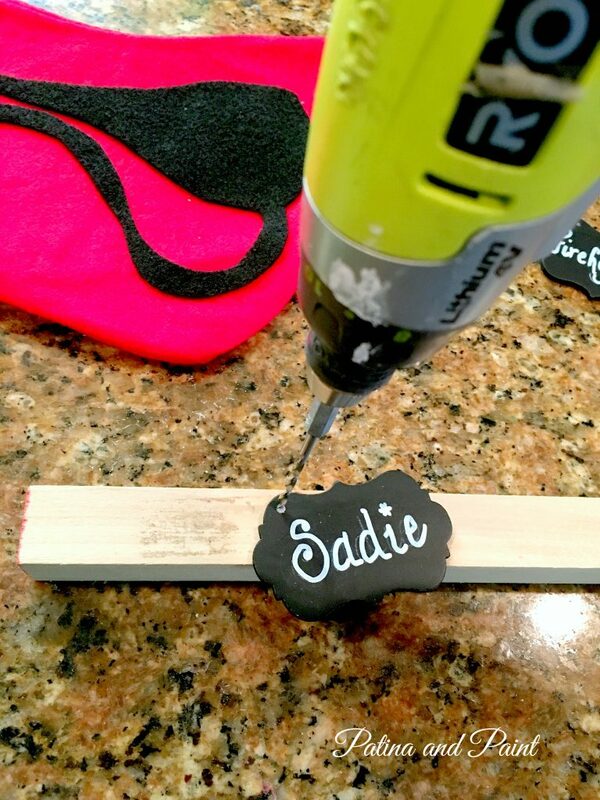 Using a small drill bit, I drilled a hole to run ribbon through to attach the name tags to the stockings. 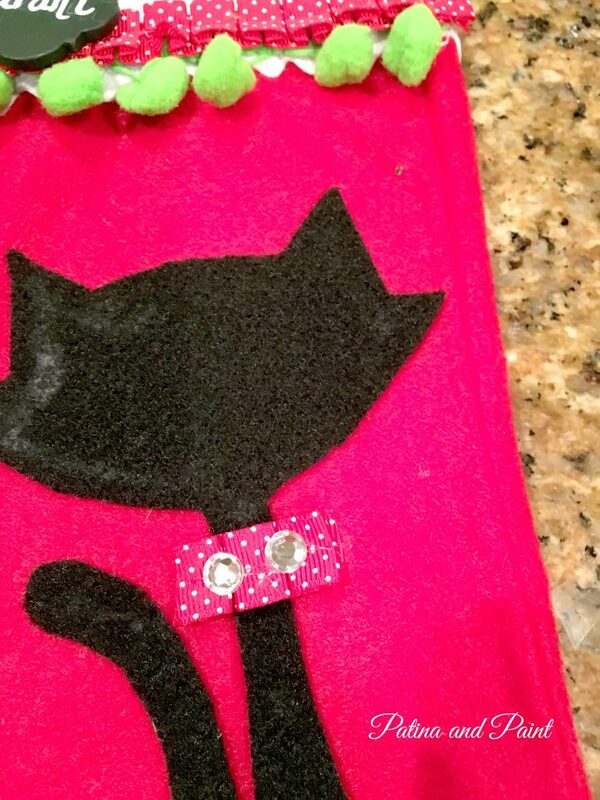 Then it was time to add a little bling and finish the stockings off with a bow. 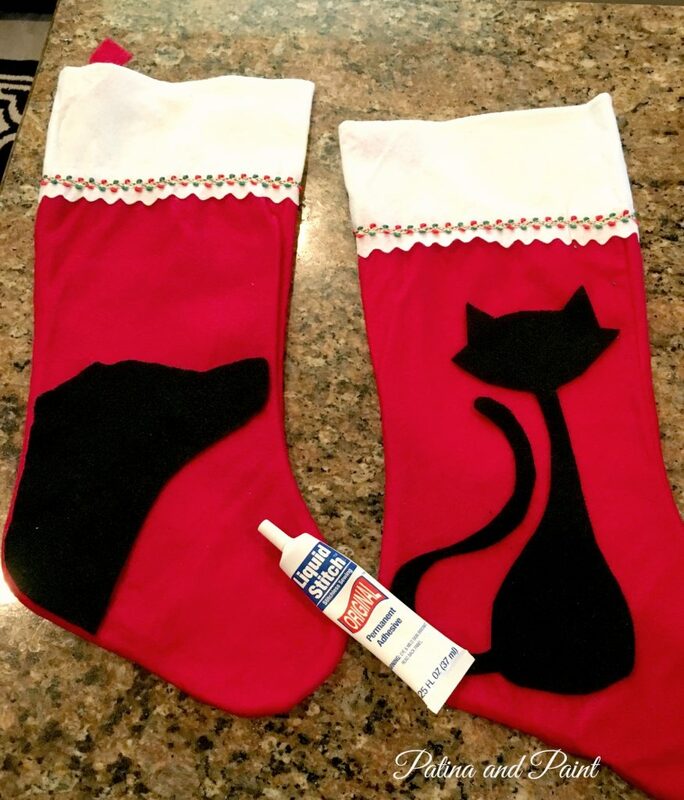 Here are the finished stockings. 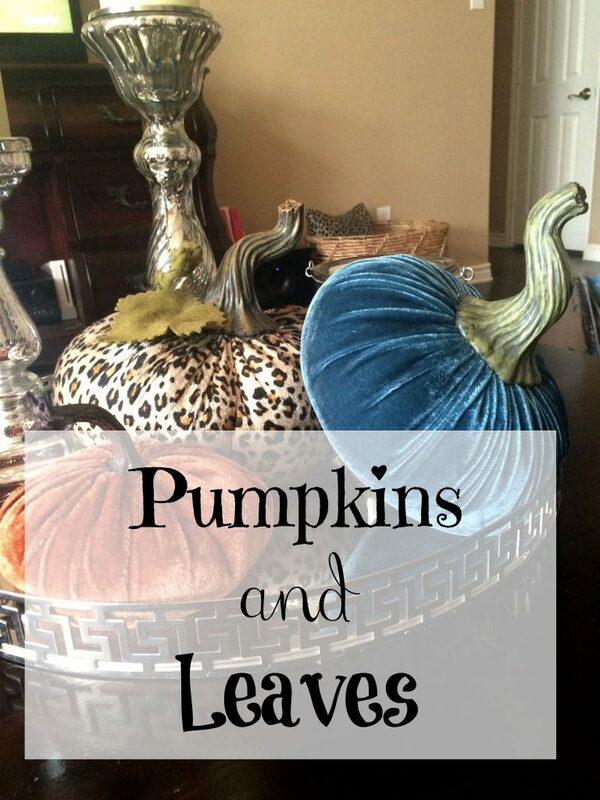 I think they turned out so cute and I made both for under $10.00! It took me under an hour to make these from start to finish. I honestly couldn’t be happier with them and apparently Sadie feels the same. I couldn’t take a picture of them without some part of her body being in the picture! 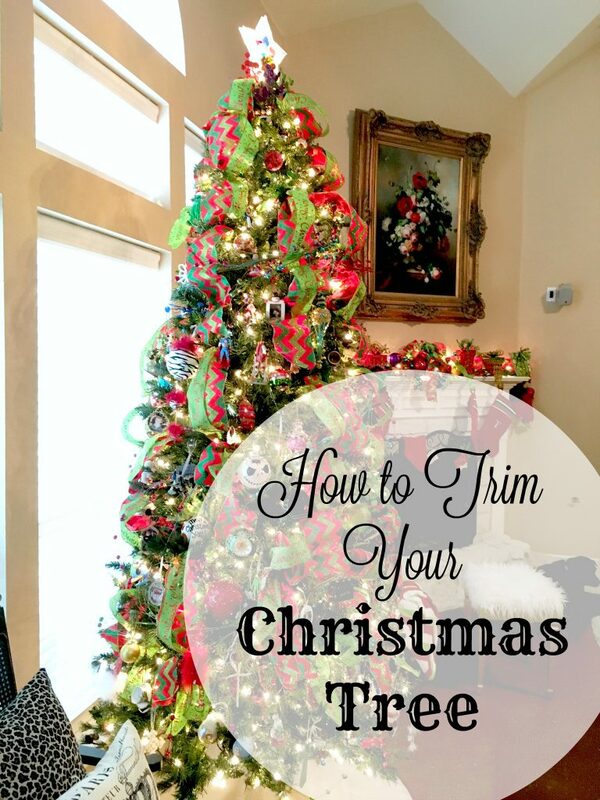 Remember every Friday from now until Christmas is DIY Christmas Friday!